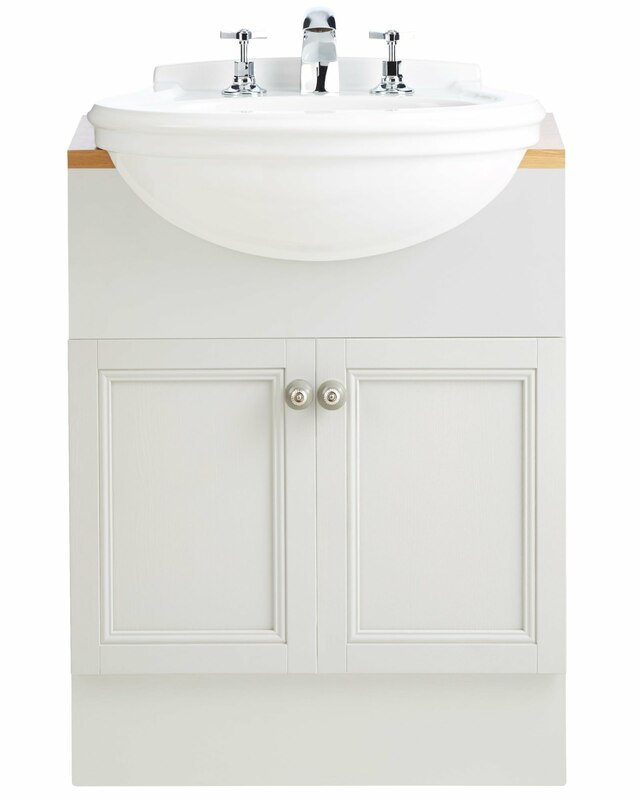 The Heritage Claverton 2 Tapholes Medium Semi-Recessed Basin sports a traditional design but is updated with a fresh and modern application. 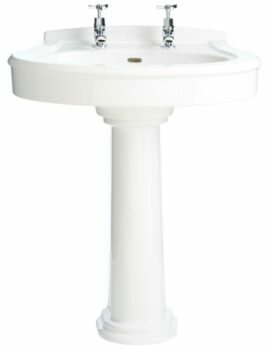 Suitable for use with a pre-cut Caversham vanity unit, this fixture will create a unique and elegant wash space in your bathroom. 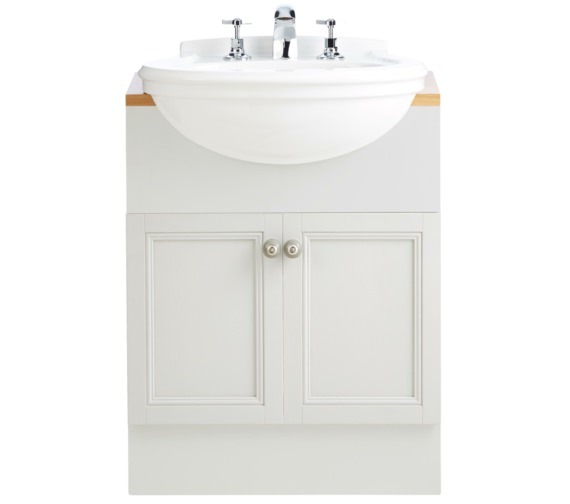 The soft curves of the basin beautifully offset the straight lines of the vanity counter top. 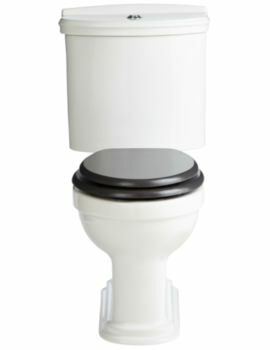 It is manufactured using high-grade vitreous china that gives it strength and the ability to withstand the rigours of daily use. 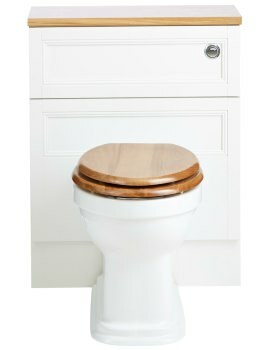 It is furnished with a crisp white finish that ensures novelty and cleanliness. 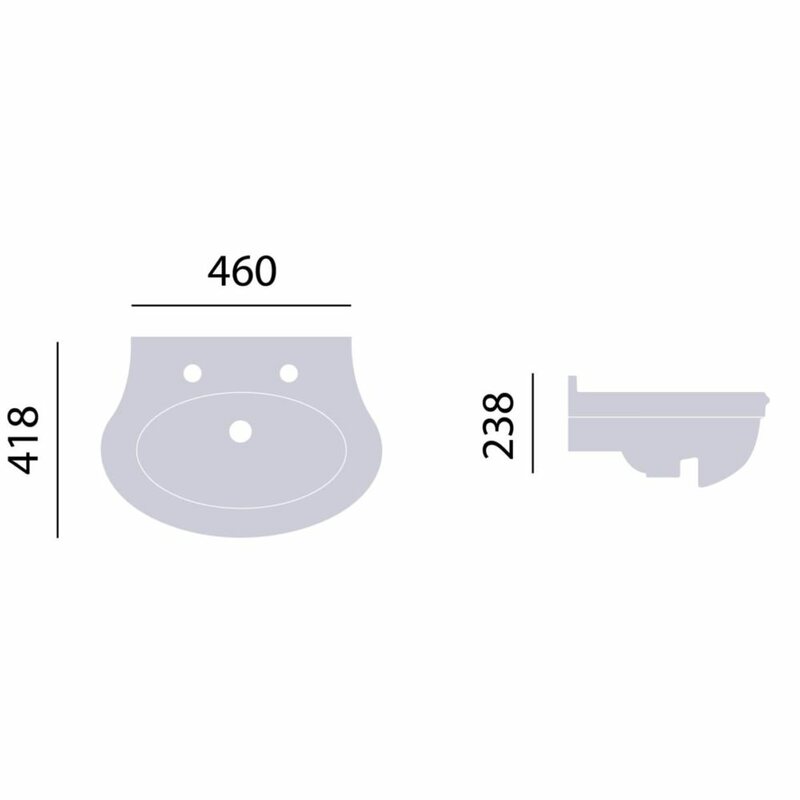 Optional Products: 1 and 3 Tapholes Basins, Bottle Trap.